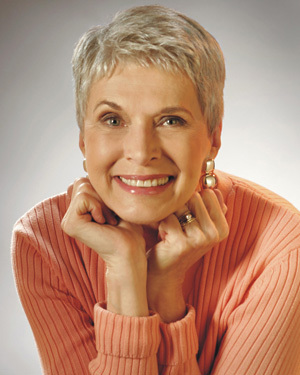 A professional speaker, Jeanne Robertson specializes in hilarious humor based on her life experiences. Speaking to thousands of people annually, she utilizes her positively funny style to illustrate that a sense of humor is much more than a laughing matter. It is a strategy for success. Jeanne’s success as a humorist has not gone unnoticed by her peers. She has been awarded every top honor in her profession including the top award in professional speaking “The Cavett Award.” She is also a member of the Speakers Hall of Fame and recipient of Toastmasters International’s Golden Gavel award.. They like her back home too. The NC Press Association named Jeanne its 2001 North Carolinian of the Year. Most recently, the National Speakers Association honored Jeanne with its Master of Influence Award. You may have seen this Hall of Fame speaker being interviewed by CBS correspondent Morley Safer on “60 Minutes” . . . or watched one of the eight humor DVDs she has produced in the last 18 years . . . or heard her daily on Sirius/XM Radio’s Family Comedy Channels . . . or attended one of the “Just Jeanne” humor shows in theaters across the country . . . or seen her YouTube clips that have had more than 67+ million views. But only if you’ve seen Jeanne in person at one of the thousands of speeches or theater shows she has given over the past 53 years can you really appreciate why she stands at the top of her profession.